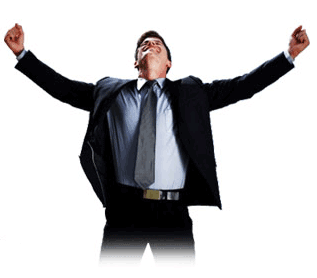 Join our NEW Insiders Club and start living more, achieving more, and being more. 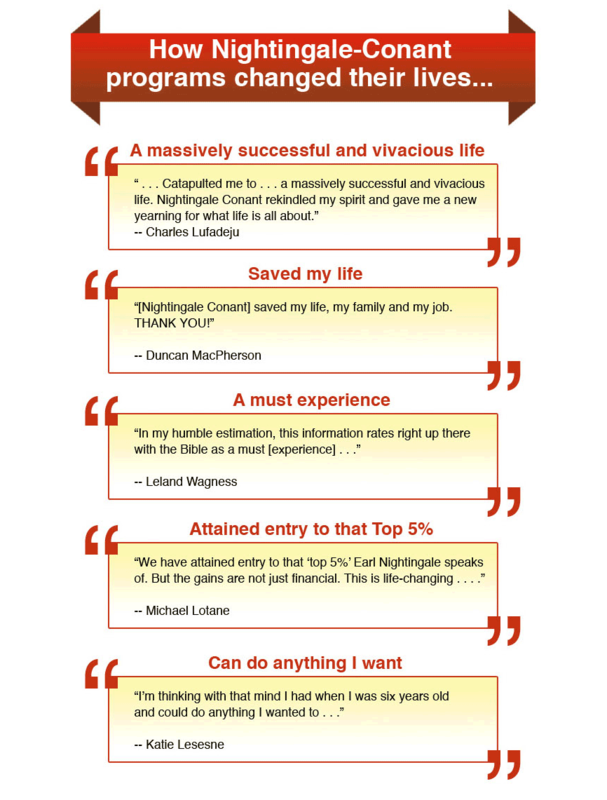 In more than 50 years, Nightingale-Conant has amassed the world's most complete personal development library. 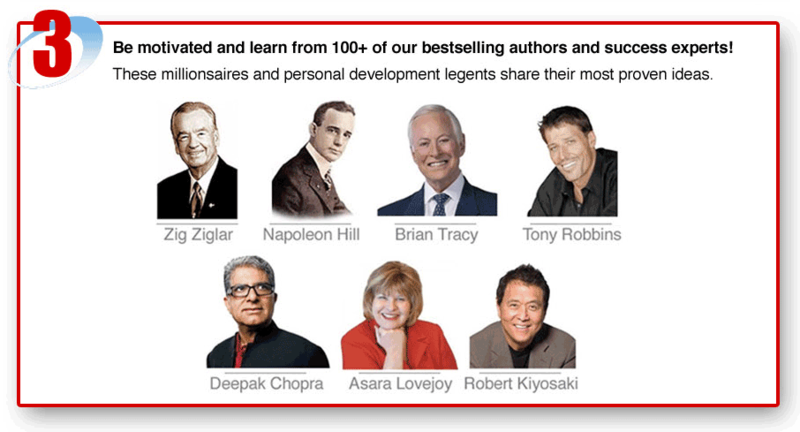 Hundreds of life-changing audio programs from hundreds of success experts. 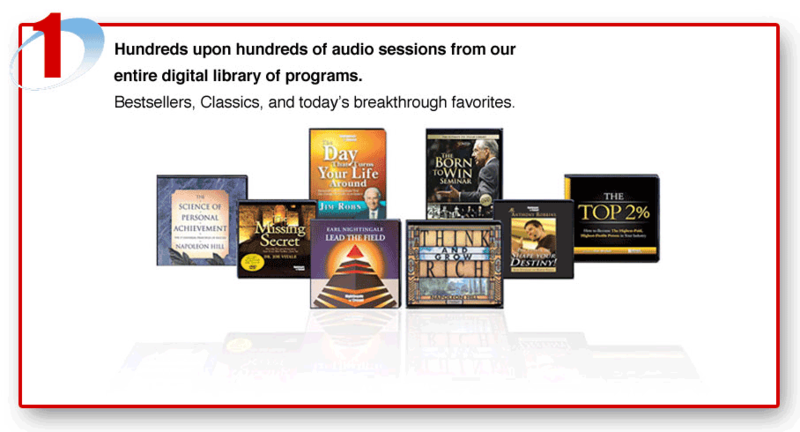 Now imagine how your life would improve if you had access to our ENTIRE digital library of personal achievement programs available anytime and anywhere you wish. The results: Greater friendships, grander riches, superior accomplishments, and more happiness. Make no mistake. 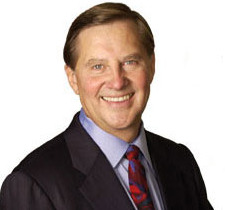 . . the Insiders Club isn't designed for the average person who expects average results. It's for the super achievers who have an unquenchable thirst for improving all areas of their lives. Devouring one program after another until they learn enough to reach the brilliance of their own "inner diamond" and tap incredible potential. 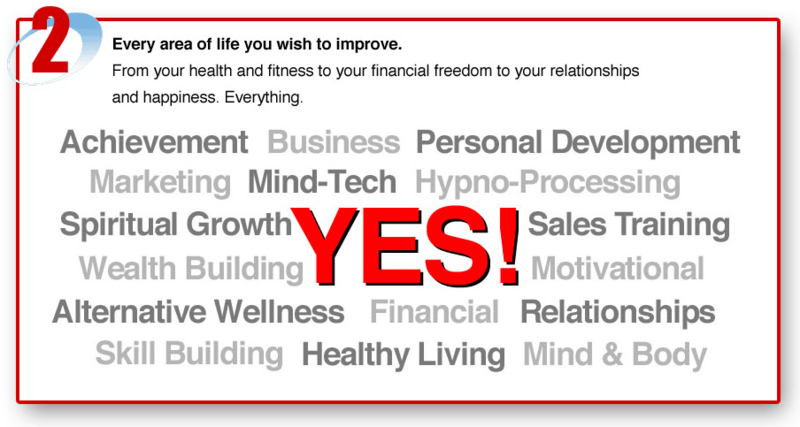 Improve any aspect of your life - Wealth, career, health, sprituality, mind...Anything! 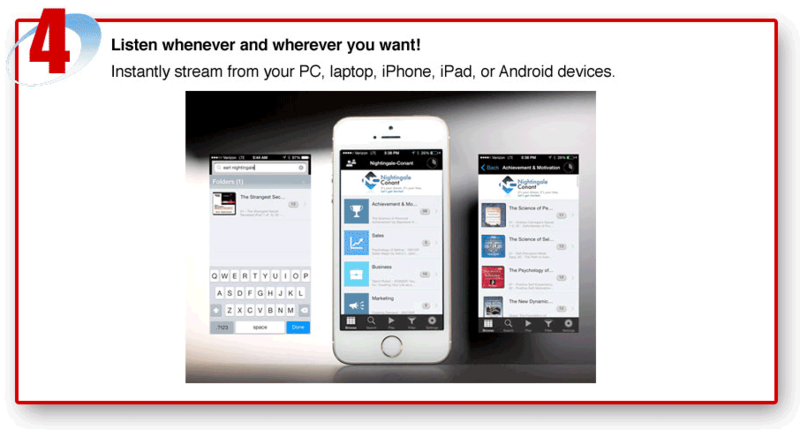 Listen and learn 24/7 from anywhere - On your PC, iPhone, iPad, or Android devices. 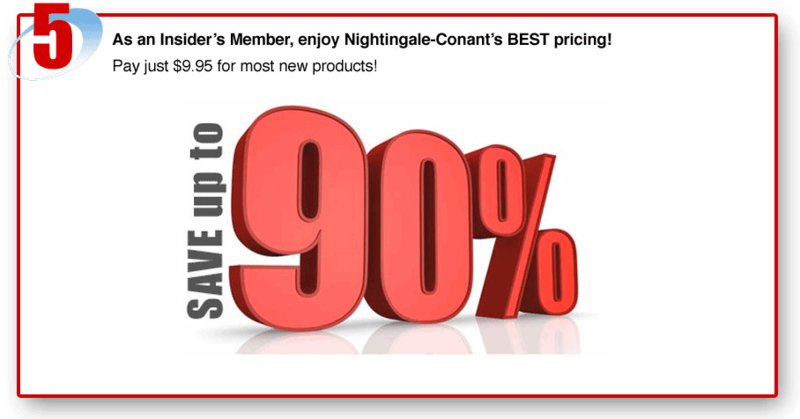 Enjoy our absolute best pricing - Save up to 90%! Pay as little as $9.95! 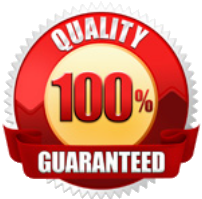 For new and promoted products, you'll get exclusive Member's Only pricing. Enjoy exclusive access to our Insiders Club Member's Only website. Insiders Club Membership is only $49.95 per month. A bargain for the hundreds of hours of life-changing content you have access to. 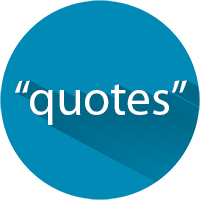 You may order a maximum of 2 programs per month at the discounted Insiders Club price. CLICK HERE to sign up for our FREE 30-Day Trial!